Dermatopathies (skin diseases) are quite common in cats. Studies indicate that between 6% and 15% of feline patients have at least one dermatopathy and many cats suffer from more than one. A recent study done by Cornell University Hospital for Animals showed that 22% had two skin diseases and 6% have three distinctive skin diseases. The skin is the largest organ in a cat’s body, which comprises up to a quarter of its body weight. It also has many important functions, such as a protective barrier to the environment and regulates body temperature. The epidermis is the top layer that provides protection. The dermis is the supportive layer underneath the epidermis, which provides nourishment to the top layer. The subcutis is the innermost layer that contains protective and insulating muscles and fat. The appendages include the claws, sebaceous glands that lubricate the skin and hair, and tiny muscles called arrector pili that can make hair stand on end. Numerous conditions, from parasites to allergies, can cause skin diseases in cats. The geographic location is also linked to the prevalence of certain conditions. In upstate New York, for example, the most common causes of skin disease in cats seen by dermatology specialists are allergies to airborne particles, food, or flea and mosquito bites. On the other hand, in other countries like Canada and the United Kingdom, studies show that abscesses are the most common cause of skin disease in feline patients. A cat’s lifestyle, gender, or breed can also affect their risk of various skin conditions. Outdoor cats for example, have a greater chance of infestation by external parasites (such as fleas) and a higher risk of injury and abscesses from fighting with other cats or animals. Additionally, male cats are more likely than female cats to engage in aggressive behavior that may result in bite wound-induced abscesses. There are also certain breeds, like Himalayans, which are more prone to skin disease than other cat breeds. The treatment of feline skin disease depends on its specific cause. Flea infestation is treated by using certain flea control products to eliminate fleas from both the cat and its environment. Food allergies are typically treated by a set diet that does not contain ingredients in which the cat is allergic to. Abscesses are treated by draining the infected site and putting the cat on antibiotics to fight any bacterial infections. Fungal disease is treated with anti-fungal medications. 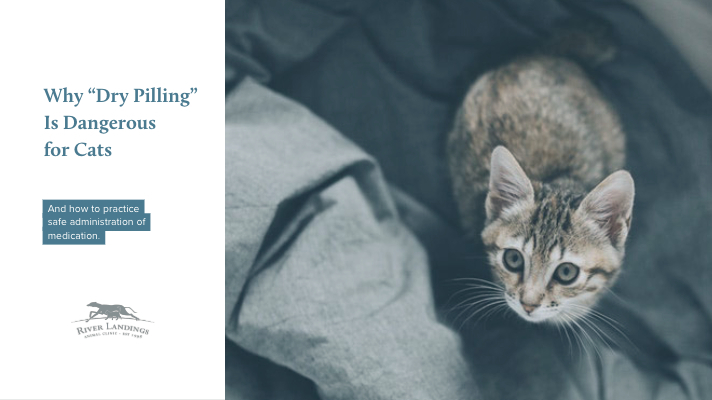 Often in cases, the cause of skin disease in cats may transfer to other cats (and in some cases, to people), so preventing transmission from animal or human is often an important element in a treatment plan. Cats with a skin disease will often suffer from dermatitis (skin inflammation). The inflammation may result from the process that starts the disease (like food allergies or the cat itching and scratching in response to the irritation stemming from the disease). In both cases, inflammation leads to itchiness, and thus scratching expedites skin damage (triggering a possible, yet relentless cycle of inflammation and skin damage). Careful consultation with your vet can help you arrive at the best strategy to treat your cat’s skin disease. Depending on severity or cause of feline skin disease, the predicted outcome for cats is often favorable. There are rare exceptions where skin disease in cats is an indicator of a more serious illness, however by visiting your vet and following the treatment plan closely with your feline, the result will lead to resolution of the problem.